I always find it really difficult to click food photographs while two pairs of eyes are following me and silently asking when the food will be served. It is the one of the reason I avoid clicking my food during dinner time apart from the fact that I am much more comfortable shooting in day light. Usually I cook and click when nobody is at home, I keep myself busy with my ingredients, camera, light and of course cooking. It's easy when I bake a cake or stir up a curry, those can be served later. 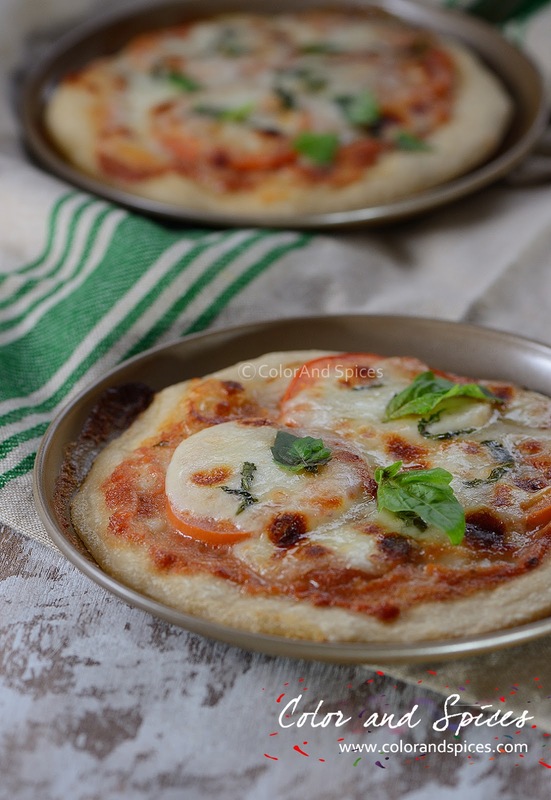 But when it comes to food like pizza, which needs to go directly to the plate from the oven, I feel hesitant whether to click first or to serve. And the fun part is if I don't click before I serve the food, both the man and the little one will give me a curious look. And often I have been asked why didn't you click what you cooked? This time things worked for me and my new personal pizza pan set saved me from my click or serve dilemma. I found these great 7 inch personal pizza pans from Home Goods. It's a good place to collect props for your food photography. Sometimes you get lucky and find something very useful like a set of four 7 inch personal pizza pans I got. Two of the pizza went straight to plate and two for my camera, end of the day a happy me. 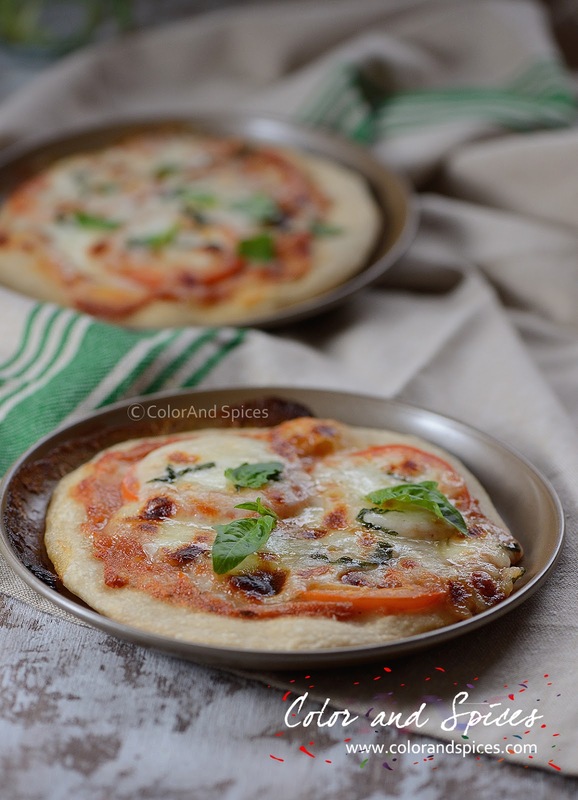 So, it was the basic of all pizza, the margherita pizza for our dinner, and that too with a no cook pizza sauce. A quick easy one but loaded with flavors and "yammmy" as my little one says. 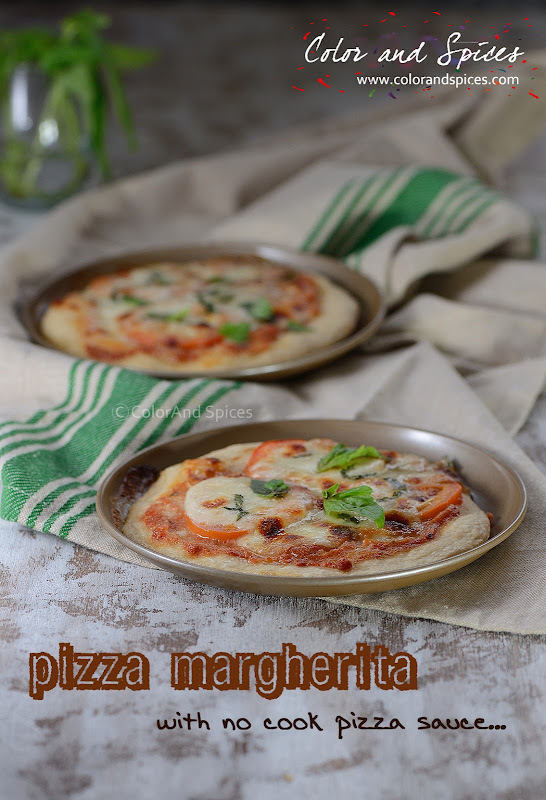 A recipe for pizza dough click here. 1. 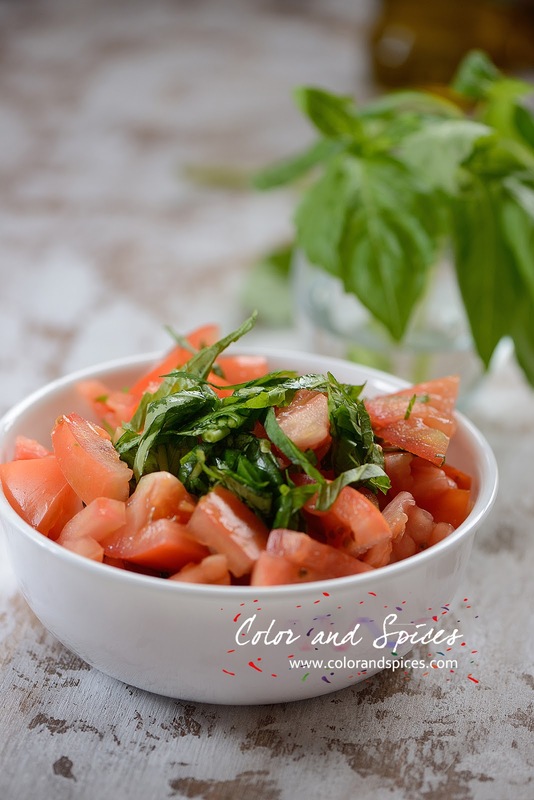 Use fully ripe tomatoes or canned tomatoes for best result. If using whole tomatoes, dice the tomatoes and discard the seeds. Chop fresh basil. 2. Put all the ingredients for sauce in a blender and blend to a smooth paste, do not add any extra water. Check seasoning and adjust accordingly. I added a teaspoon of chili flakes to spice up the sauce, it is optional. 2. 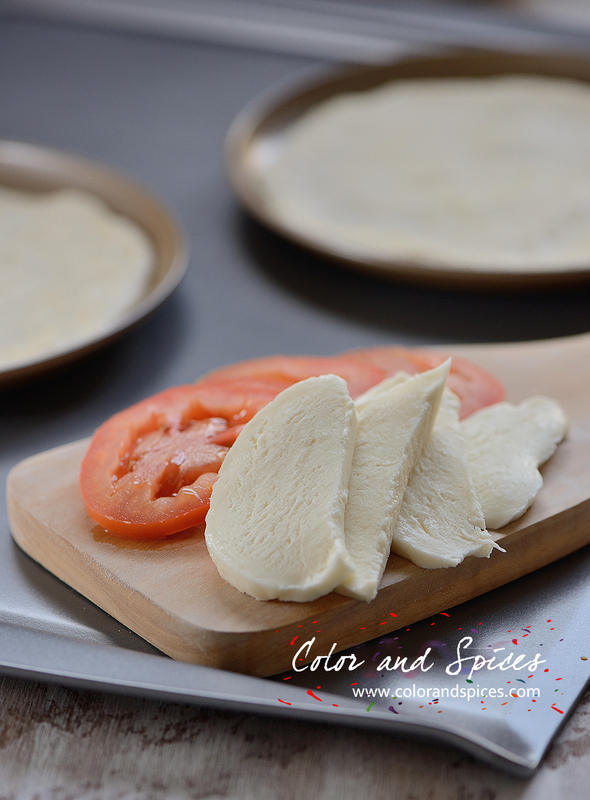 After punching down the dough, divide the dough into two equal halves. If you are using a 14 inch round pizza pan then work with one half. You can keep the other half for future use. 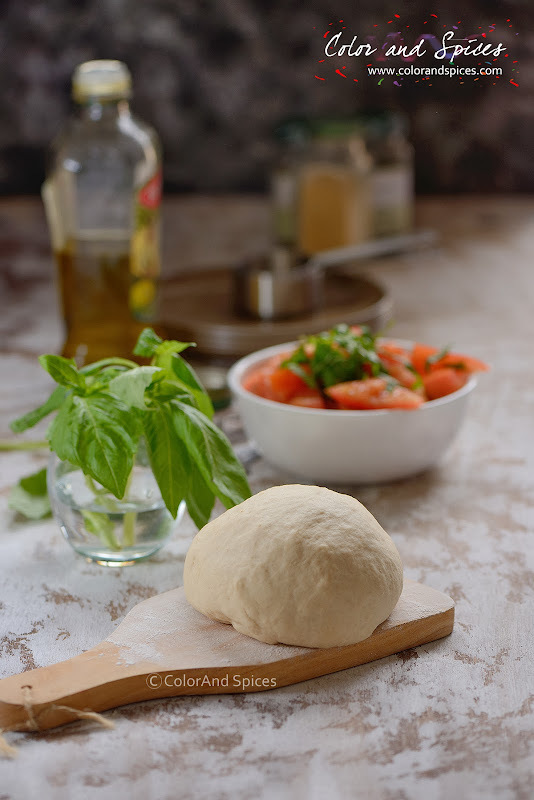 Wrap the dough with cling film and store in refrigerator, for 2-3 days. Or you can divide the dough into 4 parts, as I did, for 4 personal 7 inch pizzas. 3. 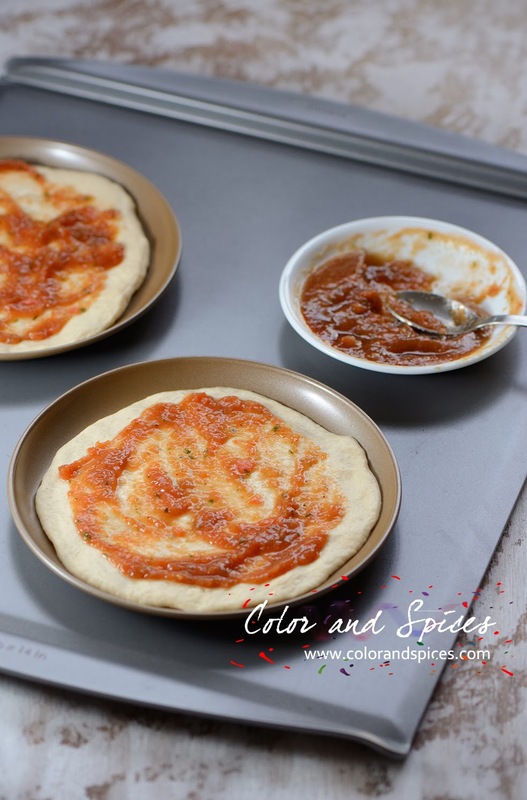 Dust the pizza pan (you can also use baking sheet) with flour or cornmeal, spread the dough on the pan evenly. Brush dough with olive oil. Cover the dough with a cling wrap and let it rise for 30 min at room temperature. 4. 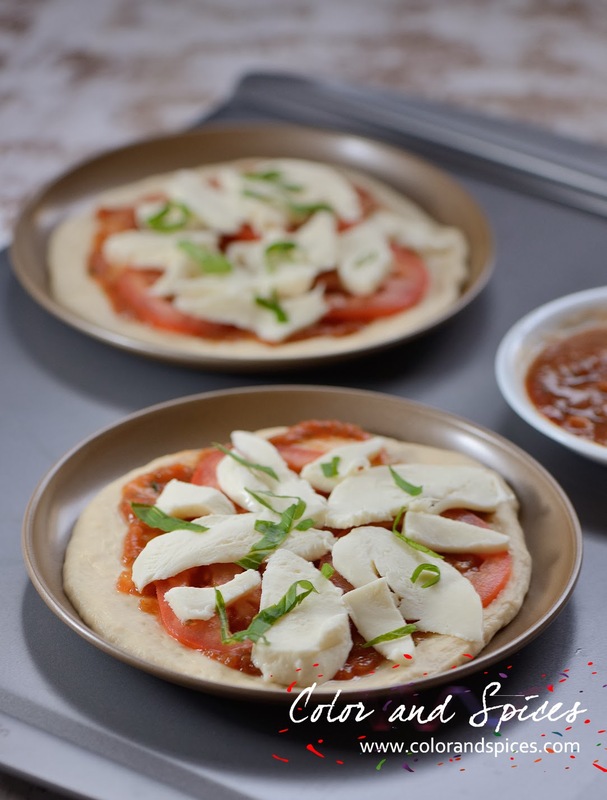 After 30 min the dough will rise again, spread the tomato sauce, arrange sliced tomato and fresh mozzarella and basil. As tomato releases water, after slicing the tomato shake off all the seeds and excess juice. 5. Cook the pizza in the middle rack for 15-20 min (if using a 14 inch pan), or for 10-12 min (if using a 7 inch pan) in the preheated oven. When the cheese bubbles up and few brown spots appear the pizza is done. 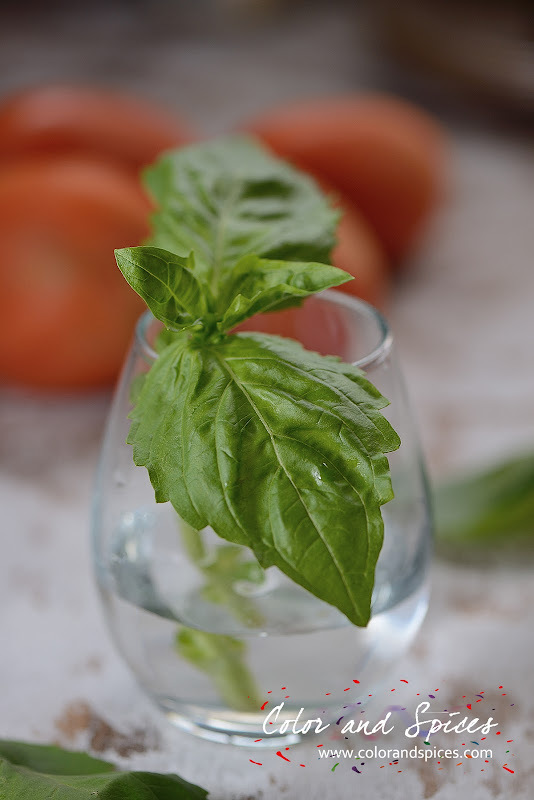 Garnish with some fresh basil and serve hot. Too cute ! love the pizza pans. I love shopping at home goods !